Typis S.R. Prostant apud H. Twyford [and three others] [etc. ], London, 1685. Selden's edition of Fleta, one of the few medieval English legal treatises, with his Dissertation upon it, called a "sophisticated survey of the history of Roman law in medieval Europe and England [and] his most mature piece of scholarship"
Printed for Mat. Wotton, at the Three Daggers [etc. ], London, 1710. Printed for Benj. Alsop at the Sign of the Angel and Bible [etc. ], London, 1682. Printed by the Assignes of Iohn More Esquire, London, 1636. 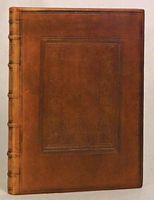 Second edition in English of "the pioneer book of the institutes of English law", the work influencing subsequent writers, praised by Blackstone, and "copied, epitomised and paraphrased [and] recommended to students for the next two centuries"
Printed in the Year 1679 [i.e. 1680], London, 1680. The sole account of Harris' trial, "a strange combination of seditious libel and scandalum magnatum", influential upon the writings of Henry Care and John Hawles and on emerging libel doctrine, "reviv[ing] the claim to the jury's right to decide law"
Printed for Richard Janeway [etc. ], London, 1681. A major political brouhaha involving all four inns of court, this their official position, leading to Alexander Radcliffe's verse response ('The Lawyers Demurrer Argued') satirically describing them as "a parcel of Whiggs / The Spawn of some Rebells"
Offices of the Royal Historical Society, London, 1992. Imprinted . . . in Fleet-streate . . . by Richard Tottel [etc. ], London, 1577. Printed for B. Aylmar, at the Three Pigeons in Cornhill [etc. ], London, 1689. 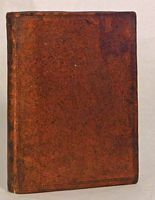 First edition of Woodward's highly popular work, with several printings appearing very quickly, this copy conjecturally presented to the grandson of Sir Matthew Hale, the inscription reading "Matt Hale / Ex Dono / Tho: Stevens / 1699"
Printed by the Assigns of Richard and Edward Atkyns [etc. ], London, 1683. Printed, by John Bill and Christopher Barker [etc. ], London, 1662. Printed for Matthew Walbanck [and two others], London, 1651. Tho. Berthelet regius impressor excudebat. Cvm Privilegio, London, 1540?]. Printed for H. Sawbridge . . . and T. Simmons [etc. ], London, 1685. First edition of the expansion of Dugdale's listings of the chancellors, judges, law officers, king's serjeants and others, extending (in Holdsworth's words) "a very valuable piece of work, which, for all time, will be useful to legal historians"
At London printed by William Iones, London, 1617-24. Printed by T.H. for Iohn Benson, at St Dunstans Church yard, London, 1641. The first corrected edition of Hakewill's work, following its unauthorized and imperfect publication, Hakewill paired in his capacities and experience with Selden and called "the best versed man in the house . . . on constitutional technicalities"